Absolute first listens to songs AS I RECORD THEM. 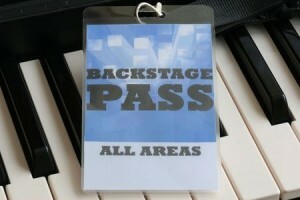 This is ONLY available to YOU, my back stage pass members. YOU HEAR STUFF FIRST! Even BEFORE my friends and family. As I record my 500 songs, there will be solo acoustic versions, live versions, fully produced studio versions and adventures. You get front seat as this massive project unfolds. Watch your In-Box. Every day. Another song. To inspire you. To touch your heart. To make you smile. To help you get through your tough days and life challenges. Discounts on my live performances including my live streaming events. Advance notice of concerts and special events. The Best seats in the house (wherever I have control of the venue enough to make those arrangements). “The Journey is the Way.” Behind the scenes stuff about the songs, about the process of writing them, as well as audios and videos on what I’ve actually experienced on the journey from painfully shy, anxious, stage frightened, self destructive, self sabotaging “mark” the “wannabe” “dreamer” to “Mark Shepard, Actual Professional Singer/Songwriter”. I will share secrets that I charge money for on my other websites… But you need to know that everything I learned that helped me to actually live this dream, is accessible and available to you as well.